Donald Theobald known as Don was born in 1913. He was the only son of Herbert and Lily Theobald. He and his 4 sisters lived with their parents at 21 Humphry Road, Sudbury. His sister Ella enlisted in 1941 and served as a Lance Corporal in the Auxiliary Territorial Service working in an Ordnance Depot preparing equipment before it was sent out to the Far East Campaign, by coating it with preservative to protect against all tropical conditions. Another sister also served in the A.T.S. Don married Phyllis Magda Hearndon and they went to live in Great Cornard. 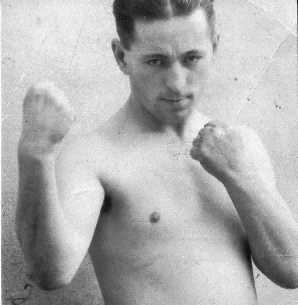 Before the war Don was a well-known light heavyweight boxer and reports of his success were often reported in the Suffolk and Essex Free Press. He was reported ‘missing’ in the same newspaper on 8th August 1940. In 1945 his mother received a letter from a friend who was in the Royal Air Force and was with Don when he was last seen. The letter was printed in the Suffolk and Essex Free Press on 5th July 1945. Flight Sergeant Cherry had struck up a friendship with Don when they worked together in France in 1940. He wrote ‘we both pulled out of Orleans as the Germans were about to enter and we made our way to St. Nazaire where we got a boat, the ‘Lancastria’. As you probably heard later, the boat was bombed and sunk in the Bay of Biscay and some thousands of good lads lost their lives. Don and I were together on the ship when she got her final hit. I got a splinter in the leg and a few burns. Don got me out up on deck and then went back to help get some other fellows out who had been hurt. That was the last I saw of him as someone else pushed me over the side and I swam around until I got picked up about an hour later.’ He went on to say ‘Don was the finest man I’ve met and I know that I owe my life to him and I would like to ask you that if ever you do hear any definite news would you please let me know’. SS Lancastria was a Cunard White Star Liner. The ship had between 5,000 and 6,000 men on board when she was attacked at 1545 hours on 17th June 1940 by German aircraft close to St. Nazaire in the Bay of Biscay. As the bombs hit the ship one went straight down the funnel. The explosion split the ship in two and by 1620 hours the ship had sunk with the loss of approximately 3,300 lives. To this day the official report of the sinking of SS Lancastria is bidden by the Official Secrets Act and not due to be released until 2040. Don was officially recorded as having died on 17th June 1940. 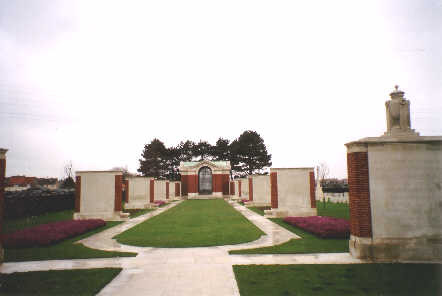 There is no known grave and he is remembered on the Dunkirk Memorial, Dunkirk, France. He is also remembered on the Sudbury War Memorial and on the Roll of Honour in the Heritage Museum, Sudbury Town Hall. A Cross of Remembrance was laid close to his name on the Dunkirk Memorial, France in April 2006.